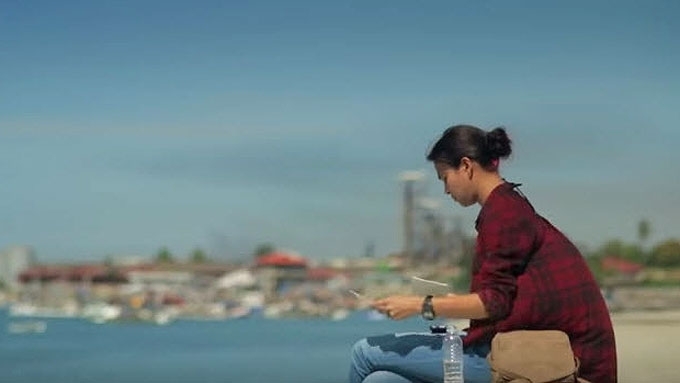 In Sakaling Hindi Makarating, Alessandra de Rossi brings life to Cielo, a painter who gets jilted by her fiance. Just when she seemed to be on the brink of madness, she goes in search of her mystery postcard sender whom she thinks is her ex-fiance. Will travelling across the Philippines pave the way for her to pick the broken pieces of her life again? From the start, it is clear that your pain is too deep for tears. You hate yourself for feeling weak, so you put up a brave front to fool others that you're okay. You put up walls so high that no one else can come close. You’re too full of thoughts of him. Why did he leave? Where is he? Why are you still stuck with bittersweet memories? Then the mystery letters arrive and you wonder, if by any chance, it is him. A spark of hope lights up inside you. Take a journey to nowhere in particular. Take detours if you must. Take time to breathe. To be alone with your thoughts. To learn new things. The anticipation inside you builds. Is he coming back? Are you gonna meet someone new? Will you love again? Maybe, somehow, somewhere, you'll find the answer. These are the thoughts evoked from watching Alessandra de Rossi play Cielo in the indie film Sakaling Hindi Makarating. Her character is a talented painter who gets jilted by her fiance. Alessandra grasped the essence of her character so much that the feelings of bitterness, anger, and loss are delivered without laying on thick with the drama. She instantly captivated the audience with her character's f**k-this-life will-travel attitude. Yet at the same time, in Cielo's moments of solitude, moviegoers get a glimpse of the raging battle inside her head and heart. 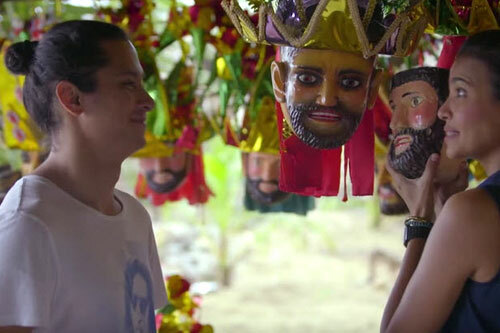 Directed by Ice Idanan, Sakaling Hindi Makarating boasts an ensemble cast, whose members were given their moment to shine in the film. Pepe Herrera played Paul, the friendly next-door neighbor of Cielo. Even without dialogue, he has this way of expressing his inner dilemma in the film. JC Santos, who played Manuel, was the instant charmer with his beguiling smile and gentlemanly ways. It was amazing how he managed to stand out even with his short appearance in Sakaling Hindi Makarating. Another major attraction in the film was its you-only-live-once travelogue treatment to the self-healing of Cielo’s character. 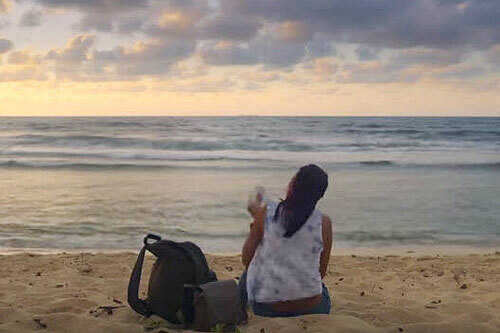 Although such formula was previously seen in the popular Pinoy hugot movie That Thing Called Tadhana (or Hollywood’s Eat, Pray, Love), Sakaling Hindi Makarating delivered in showcasing the beauty of the Philippines. 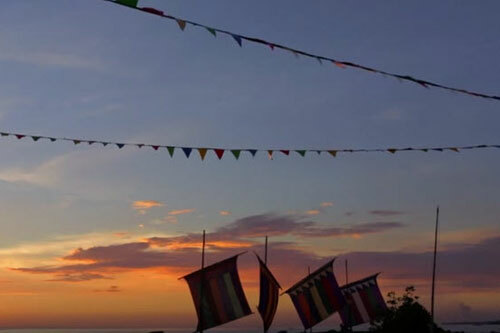 The movie will take moviegoers to the colorful Vinta Regatta festival in Zamboanga, roads less travelled in Siquijor, the home of Moriones Festival in Marinduque, the pristine Pagudpud beach in Ilocos del Norte, and the breathtaking views in Batanes. In the end, will Cielo’s journey to self-healing bring the answer she is looking for? Directed by Ice Idanan, Sakaling Hindi Makarating premieres in theaters on February 1, 2017.